There is a rebirth happening in (almost) North Boulder. Modest; yet noteworthy. If you live or work or spend an extended amount of time in downtown Boulder (let’s say the 4 square miles surrounding the pedestrian mall) the pace of interaction in North Boulder may feel foreign. To my taste it’s a bit calmer, a bit more intimate (have you shopped at North Boulder Liquor recently? Because they probably know your name and your favorite beverage). And in the ashes of Radda Trattoria is rising a community eatery that wants to know your name and how you take your coffee (or martini). It was, perhaps, a modest rebirth; or a timely ending. Radda owner Matthew Jensen has seen a share of success in the Boulder restaurant scene. Perhaps most notably, his “Mateo Restaurant Provençal” has become a haven for the Boulder francophile and fine diner. His gaining success was concomitant with the birth of his son in 2013; and his time and attention were at a premium. In the absence of attentive ownership, Edwin Zoe (friend of Matthew, and owner of Zoe Mama in the West End) took the reigns. With new ownership came a new infusion of cosmopolitan influence. With Edwin’s Chinese heritage deftly delivered at Zoe Mama, his wife Beatrix found an expressive outlet for her Hungarian roots. So they gutted the place; traded Tiramisu for Tarte Dobos, hardwood and warm light for marble tabletops and modern, natural lighting. Hardwood artistic accents from Boulder artist Jerry Wingren hang from the ceiling. His abstract sculpted swallows suggest movement and highlight the negative headspace in the vaulted ceilings (look for his exhibitions around Boulder and see if you can spot him dining peacefully amongst his art at this community eatery). “The restaurant had good bones already” touts manager Blake Carpenter. 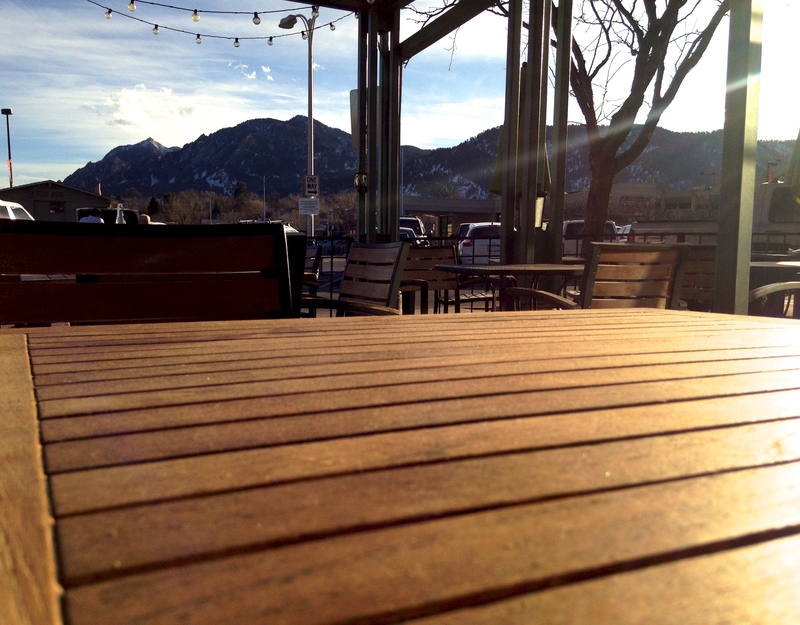 We needed not but to create a space that capitalized on our intrinsic resources.” The decreased proximity of foot traffic, and unequivocally the best patio view in North Boulder, gives the Ella patio that “locals” vibe. Less “pijama-clad, hung-over college student, 21+ only, Bloody Mary brunch” (not to say those joints aren’t necessary, it takes all kinds) and more “mid-morning, mountain-view, espresso and crossword puzzle on a fresh flower-bespeckled patio in slanted light and cool air…..” vibe. And with ambitions prospects for a central/eastern euro-centric wine program, they are deftly honing their night-life appeal. 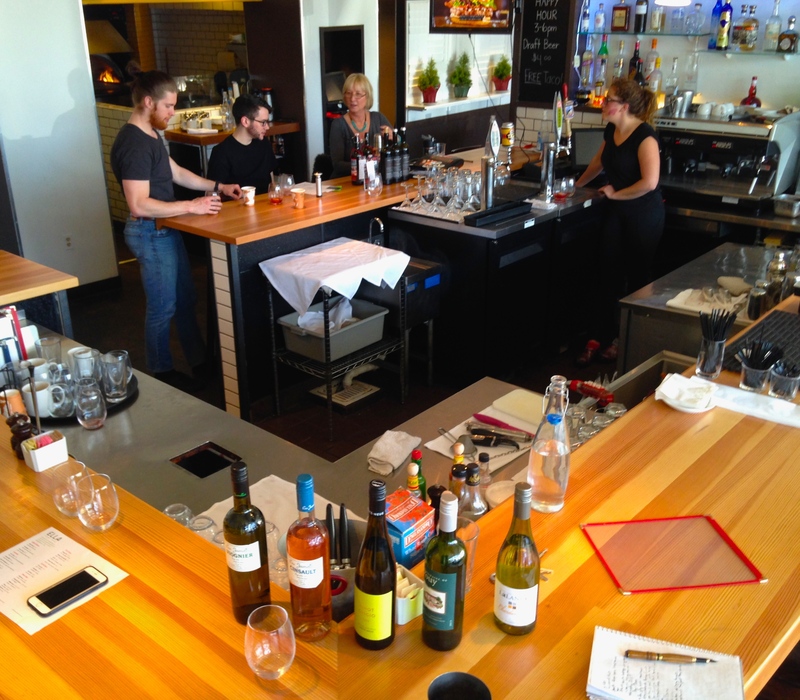 In the wake of renovations, menu updates and staff changeover, Blake Carpenter and his team are faster, leaner, and poised for a killer spring season in the niche market of “locals do it better” restauranting. Smart money is on their brunch/ weekend morning game.